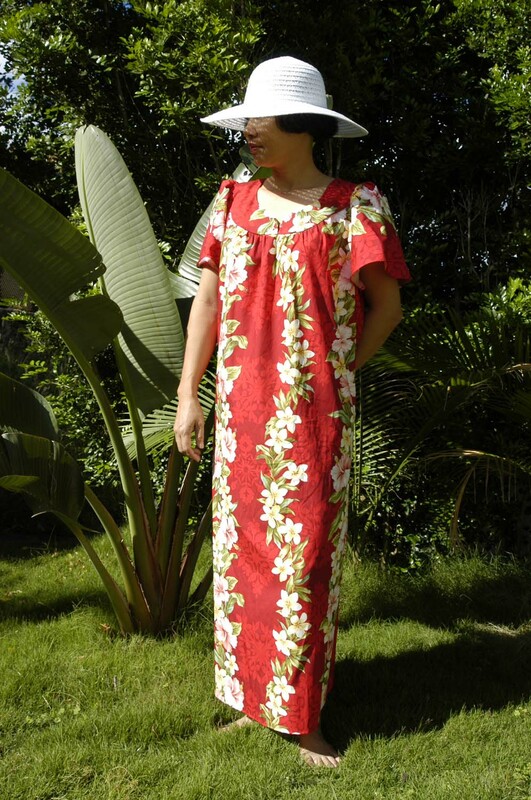 Beautiful women's muumuu dresses in tropical Hawaiian prints are worn at many formal occasions. One of the most popular uses of the muumuu dress is to use it as a wedding dress. Many couples have chosen to have a tropical Hawaiian wedding theme or beach wedding and it's no surprise. The beautiful colors and patterns of Hawaiian prints represent and transmit a unique aura of joy, happiness, and a bright future outlook for the bride, groom and all those at the wedding. For some prints we can match the apparel for the bride, groomsmen, bridesmaids. More couples are choosing Hawaiian apparel for their wedding or other special occasions than ever before. What better way to express your happiness at your wedding than with a beautiful muumuu dress for the bride and bridesmaids along with a matching Hawaiian shirt for the groom. Of course you don't have to be getting married to wear these beautiful muumuus. Get yours today and discover why women love the comfort and attractive looks in our quality muumuu dresses!